I am on the midnight to noon shift so every day, I start my work at midnight. And, yeah, it’s kind of awkward to wake up at 23h30, even on Saturdays and Sundays and go to work at midnight. But I can’t complain at all. Take a look at the view that I had on the sea this morning at midnight! 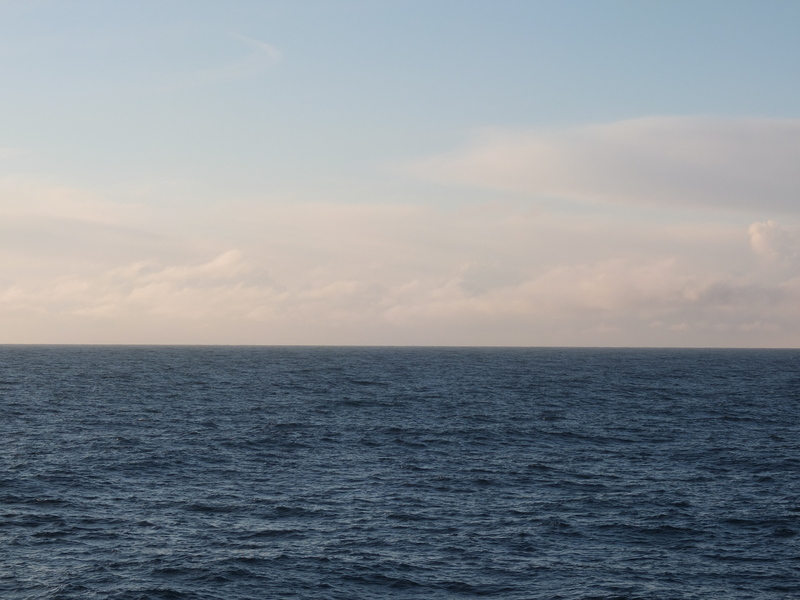 And it’s quite the same every day since we are drilling in the Ross Sea, near Antarctica. No night at all! Sometimes some clouds or a scattered snow but that’s all! I can’t stop to be surprised every day by the lack of night even if I know that it can be explained in a simple way. Right now, in France (and for the Northern Hemisphere in general), it’s winter. The tilt of the axis of the Earth is the main factor which determines seasons. When it’s winter in the North Hemisphere, it’s summer in the Southern Hemisphere (and the opposite). 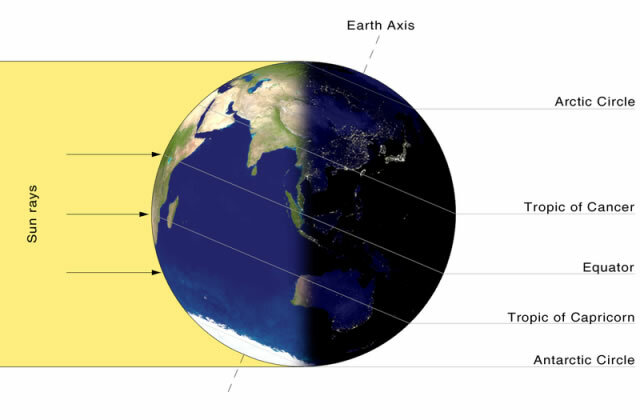 On the picture, the Southern Hemisphere is tilted towards the sun and takes in more of the sun’s rays: it’s summer time. An important factor for the duration of the night versus the day is the latitude. The latitude is the angular distance north or south from the earth’s equator measured through 90 degrees. Lines of latitude form circles around the earth, with 0 degrees latitude being at the equator and 90° latitude representing the poles. During Expedition 374, we will drill 6 holes between 70° and 76°S of latitude. At home, you can imagine being with us on the JOIDES Resolution by using a globe and a lamp to represent the sun. If you represent the position of the Earth as it will be during our expedition (January and February 2018), you will observe that the ship will always be lightened by the sun! It will not be a lot of sun because the amount of energy received at a point depends also on the latitude, and here, near the pole, the same amount of energy is spread on a bigger area in the pole than the area in the Equator for example.